Boss Hog Bacon is a sugar cured and hickory smoked country bacon. Our dry-cured, nitrate free bacon will not shrink like packing house bacon because water isn't added or used in the curing process. No water means no splatter, which is why Boss Hog bacon is the only bacon you can fry naked! We use a time-honored, secret formula and you can certainly tell the difference in taste. This bacon has sweet and savory flavors; it's a succulent and delicious, all-natural pork candy. Order this nitrate free bacon delivery, and get ready to grab a slab! Your stomach wants some! Hickory smoked country bacon contains no nitrates or nitrites. One 14 oz. package. 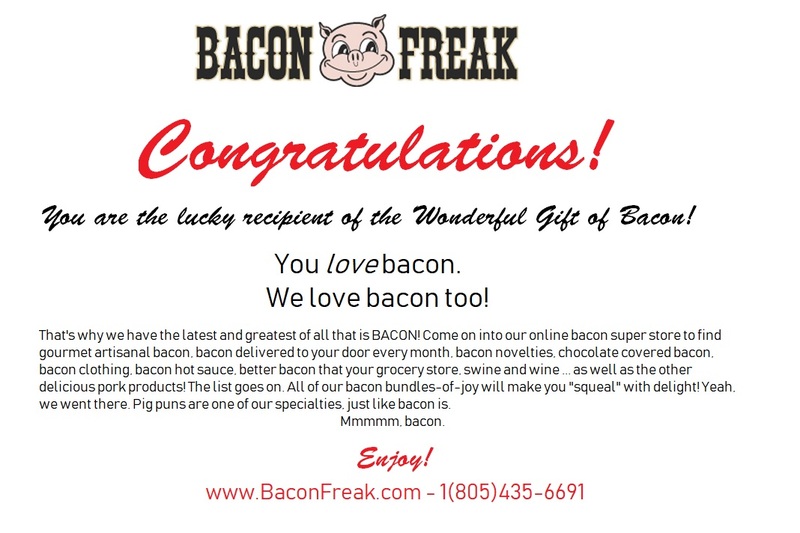 This was a gift for my husband, who is very particular about his bacon. He loved it! Good flavor - uniformly sliced, more so than the Maple Cinnamon. Best bacon I've had since living 'down south'! Awesome!! What a great gift for my uncle's birthday! He loved it!